I found the plans in the back of “The Dory Book”, by John Gardner after looking high and low for a boat I thought I could build. This boat fit the bill. 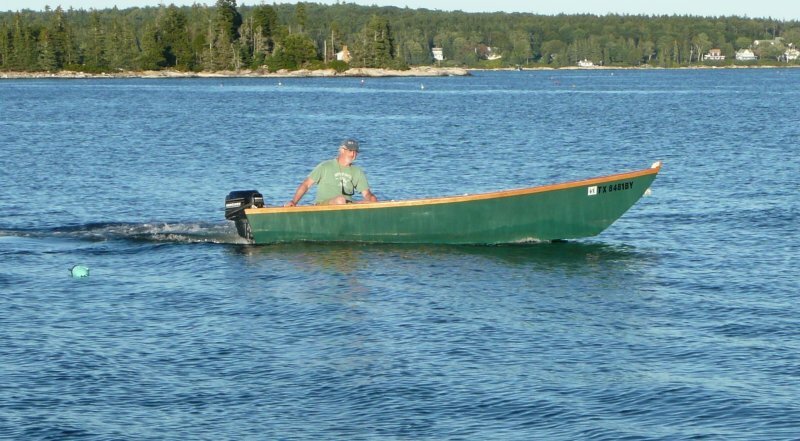 Besides requiring only average skills to build, it is also light, pretty, rowable, seaworthy and cheap to operate. It is perfect for the protected waters around Boothbay Harbor. It reaches about 17 mph with one aboard but drops to 8-10 mph with three. Still, quite adequate for leisurely harbor exploration.